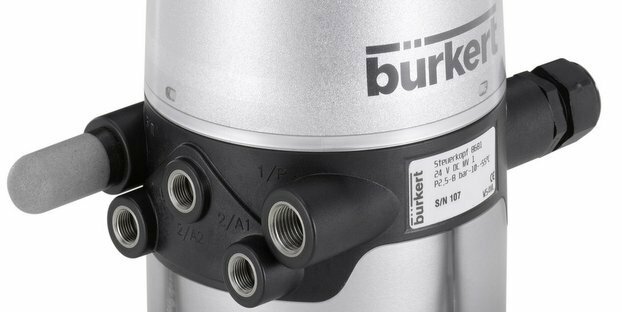 Bürkert is one of the world’s leading companies for measurement, control and regulation technology. With more than 2,100 employees in 34 countries, this engineering and manufacturing innovator is constantly creating systems and solutions in response to the dynamic challenges presented by water, steam, gases and (yes) beer. Bürkert’s modular, multichannel, MultiCELL transmitter/controller Type 8619 is a customizable measuring system with an extended range of functionalities that can work with multiple types of sensors. With this new variant, fluid technology specialist Bürkert will extend the scope of their Type 8619, which has been available only for panel installation so far. Beginning in June 2014, there will be a new, separate housing version that will offer more flexibility in installation, for example, on walls, railings or pipelines. The new variant can be supplied with a 12…36 VDC supply, as before, or alternatively with 110 / 230 VAC supply. With MultiCELL transmitter/controller Type 8619, Bürkert offers a complete and flexible measuring system suitable for connecting multiple sensors for the most diverse range of tasks in data logging, control and dosing. The device is perfect for numerous applications in areas as diverse as water treatment or the production of foodstuffs and pharmaceutics. The system consists of a basic device that comes with generous equipment, but whose functional range can be freely adapted and extended, as required, with hardware boards for pH / ORP, conductivity, input + output signal boards and software modules. Bürkert’s MultiCELL Type 8619 is now available not only in a version for panel installation, but also with a housing, offering users more flexibility in the installation of the device, e.g. on walls, pipelines and railings. The new housing variant is protected according to IP65 / IP67, NEMA 4x. There are no external metal parts. With these features, the housing is perfectly suited not only for water treatment, F&B and pharmaceutics, but even more so for aggressive environments like galvanizing processes. Thanks to a special installation plate, the system is easily installed on walls; a special installation kit facilitates installation on pipelines and railings. A smart locking and support mechanism allows users to attach devices quickly to the installation plate and remove them when required. Terminals and connections are all accessible from the front, making electrical installation easy and fast. There are up to five M20 cable glands for taking up and holding power and signal cables. Most importantly, the housing provides plenty of space for a comfortable installation of all cables required. In order to better serve to the most diverse customer requirements and infrastructures, there is one version operating with 12…36 VDC, and another one with 110/230 VAC. If and when required, sensors can be supplied directly with 24 VDC, even in the 110/230 VAC version, directly from the MultiCELL. Bürkert’s MultiCELL devices for panel installation or with separate housing can be equipped with up to six different I/O boards in any mix, making them the equipment of choice for complex tasks. What is more, the devices can handle up to six different functions in parallel operation, which may be selected, independently of each other, from a list. Frequently needed functions are already integrated. So, you just have to select them and they will be fully available after parameter setting. What makes the functional flexibility of the type 8619 complete is the assignment of the functional modules to the various input and output signals. Last but not least: There are retrofittable software packages for even more practical adaptations to the most diverse range of applications. For users, such flexible customization capabilities can be a big cost saver because costs arise only for features that are actually needed and installed. With MultiCELL, Bürkert provides an integrative system for a multitude of applications, from analytic measuring technology to flow measurement. What remains under the bottom line is a minimum of types and variants and, thus, a minimum of expense for employee training, storage and maintenance.